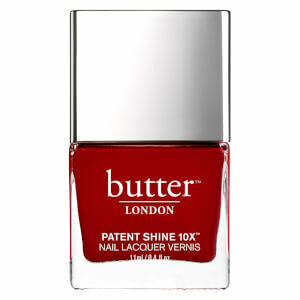 Verniz de Unhas Patent Shine 10X da butter LONDON 11 ml - Dearie Me! 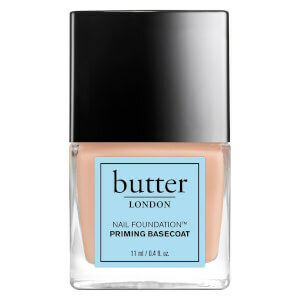 Fortified with patented Shock Resistant Polymer Technology to prevent chipping and peeling, its unique formula coats nails in a long-wearing cool rose crème with mirror-like shine, whilst its dense curved brush applicator allows full coverage for a professional finish. Infused with Bamboo Extract and Diamond Powder, the nail varnish promotes smoother, stronger and healthier nails with every use. Aplique uma camada de verniz e deixe secar. Aplique uma segunda camada. Não é necessária a aplicação de base nem de top coat.